One owner 2012 Infiniti FX35 AWD. Yes, the mileage is not a miss-print! 196,977 miles. Looks and drives like 30K miles. Serviced with Infiniti of Dayton from day one. Perfect service history. Used as an over the road Sales vehicle(hence the mileage). We typically would not keep one with higher mileage, but this is a fine exception. We have a good customer who just hit 500,000 miles on his Infiniti. Besides regular maintenance, he has not had to do any repairs. A real testament to the quality when taken care of properly. 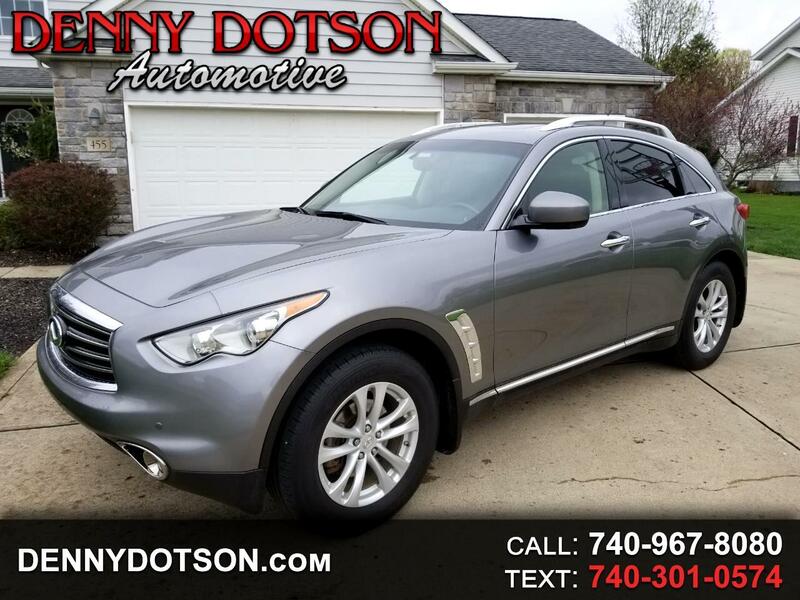 This FX is well equipped with heated seats, Navigation, power sunroof, power lift-gate, Keyless Go/push button start, rear camera, and Bose sound. Comes complete with all of the books, manuals, service history, and both sets of keys. A whole lot of SUV for under $10K.